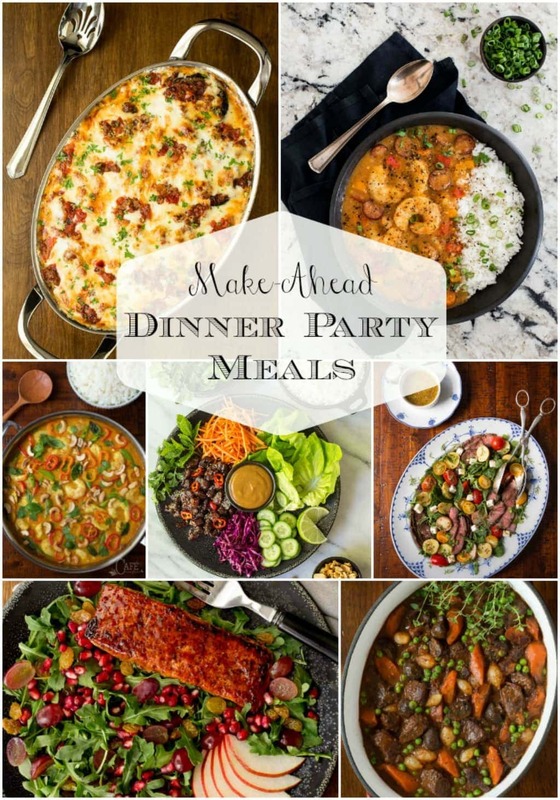 Whether you’re entertaining family or friends, we’ve got you covered with delicious, make-ahead, dinner party meals! While the holidays are such a special time of year, it can feel crazy with a to-do list a mile long. We’ve rounded up some of our favorite make-ahead, dinner party meals to help simplify entertaining. All these recipes would be hits with your guests. There are Italian dishes, stews, and even lighter options if you need a break from heavy food. 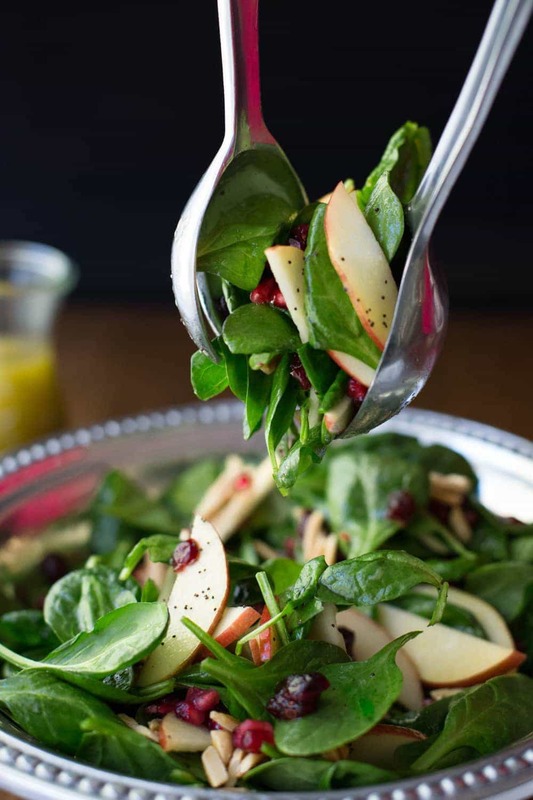 We’ve also included one of our all-time favorite salads and easy artisan roll recipes. 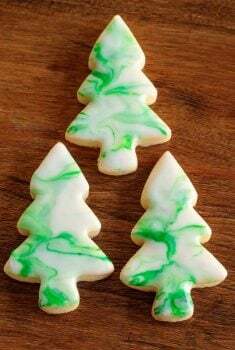 These would go with almost any main dish you plan to serve. Entertaining is so much less stressful when you serve a make-ahead main dish! 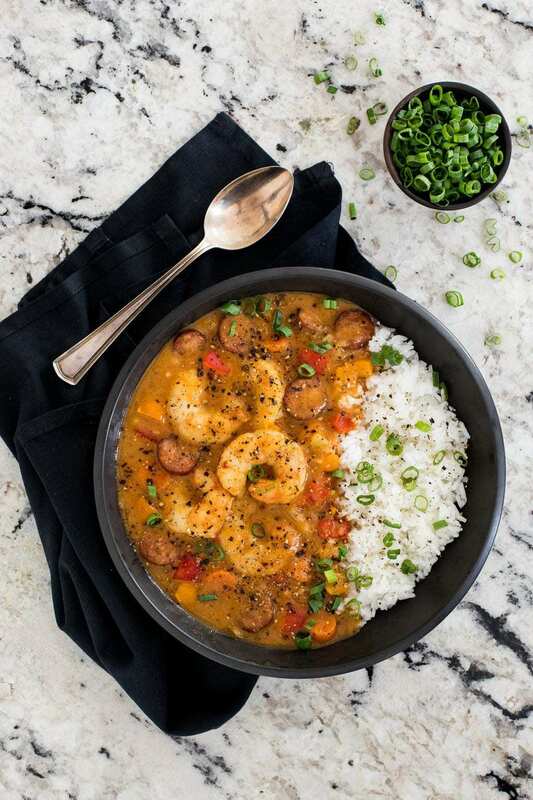 This Shrimp and Andouille Gumbo is loaded with succulent shrimp, spicy sausage and lots of fresh veggies! 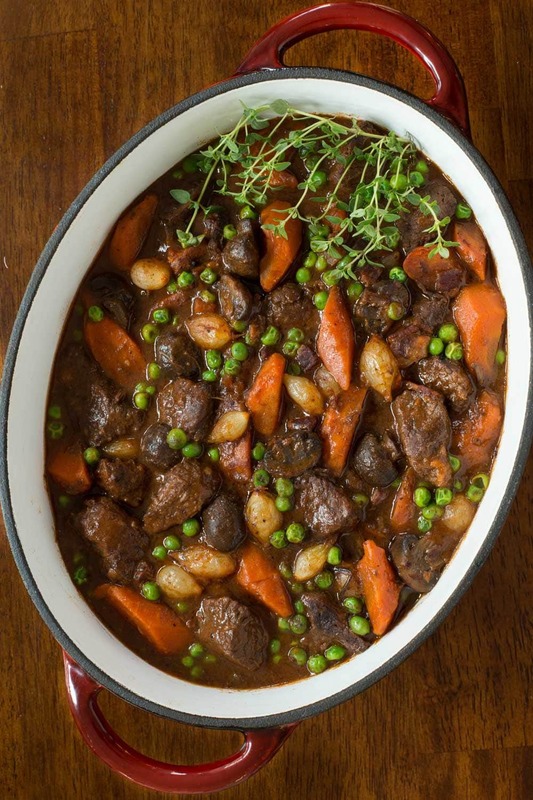 This Make Ahead Beef Bourguignon with melt-in-your-mouth tender beef is crazy delicious, inexpensive and economical! Looking for something different? 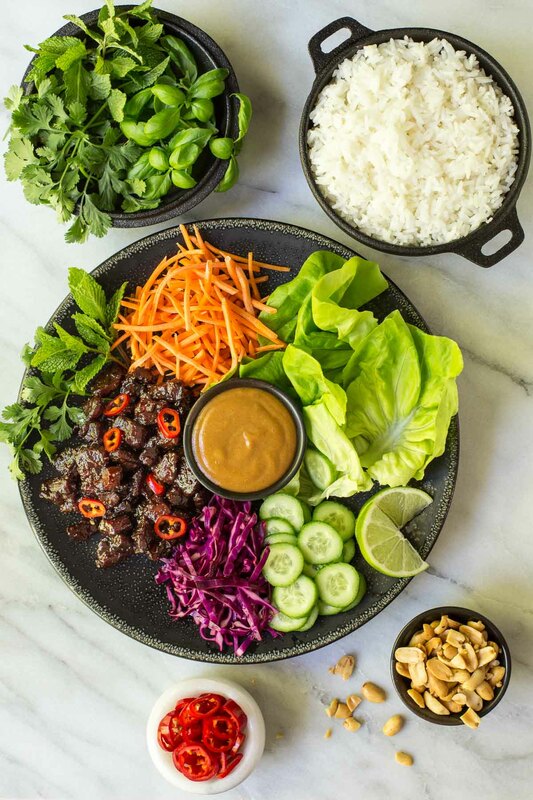 These crazy-delicious Vietnamese Caramel Pork Lettuce Wraps make a fresh, light weeknight meal and are also perfect for a dinner party. 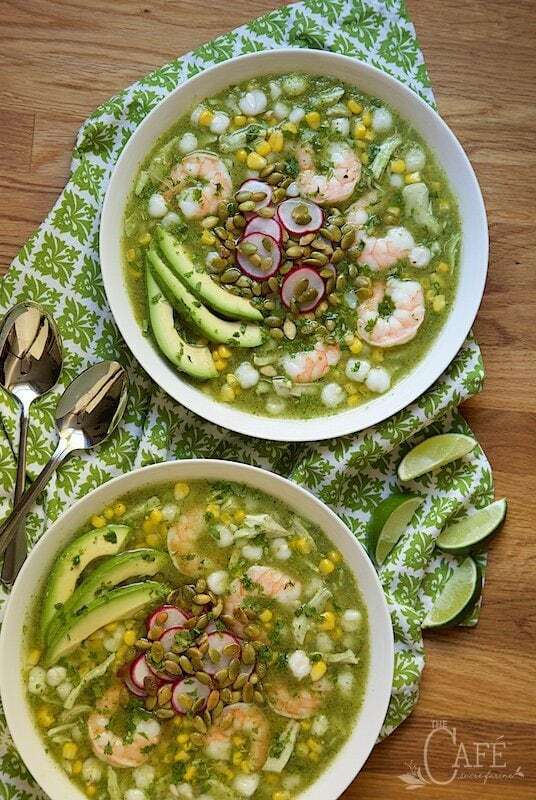 Shrimp and Chicken Pozolé Verde– Light, healthy and crazy delicious, this Mexican-inspired soup/stew is easy enough for everyday dinners, but it’s also great for entertaining because it’s almost completely make ahead and so pretty! 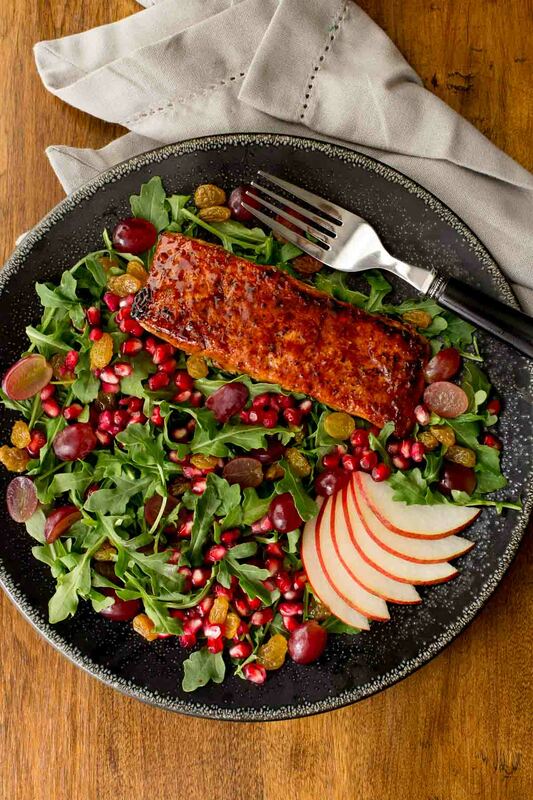 This Asian Glazed Salmon Salad is both delicious and beautiful! It makes a fabulous dinner party entree! You can prep everything ahead of time, then bake the salmon right before you eat. 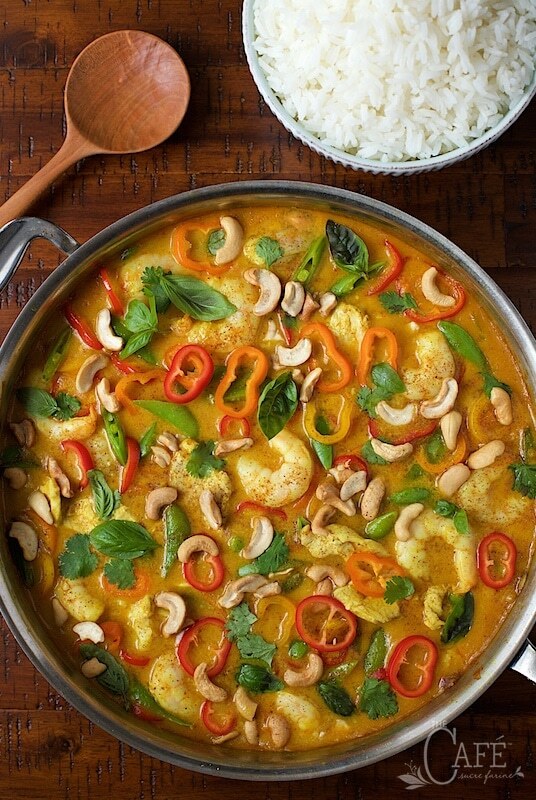 Fresh, light and full of fabulous flavor, this Shrimp and Chicken Cashew Curry is perfect for an everyday dinner or a fancy enough for your most special dinner party. 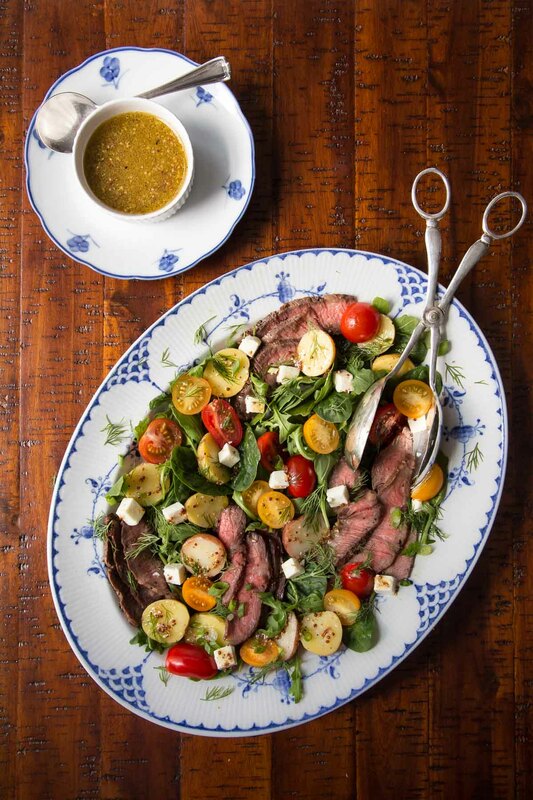 Steak and Potato Arugula Salad– A fresh, yet hearty entree with steak, warm potatoes, and a delicious champagne vinaigrette, this healthy salad is a meal in a bowl easy enough for every day, elegant enough for a dinner party! 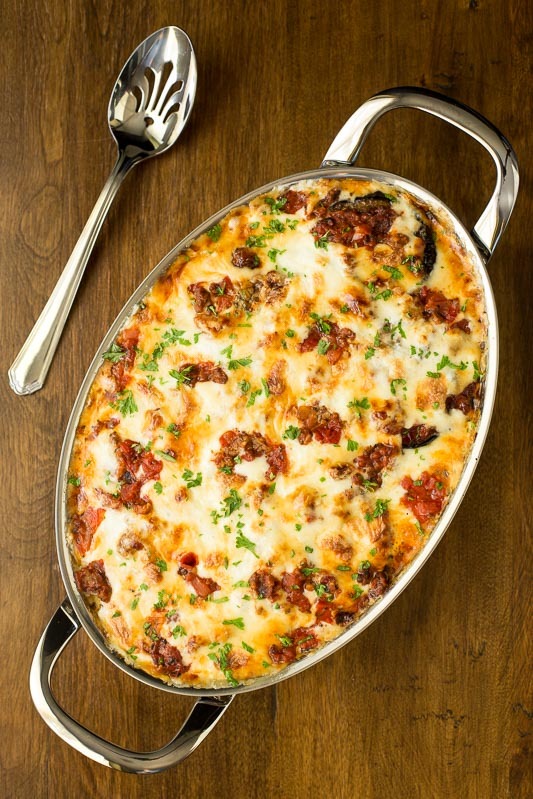 This Eggplant and Italian Sausage Gratin is bursting with delicious Italian flavor. It’s a dinner party worthy meal that can be made in advance and just popped in the oven at the last minute! Any of these make-ahead dinners would be perfect for entertaining! Pin them now and you’ll be so pleased when it’s time to plan for company! 2 thumbs up for make-ahead meals! I will share this with my daughter, with a 3 month old she could use some make ahead meals. 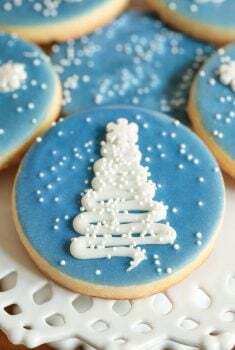 We all need to have some make-ahead meals during this hectic season! 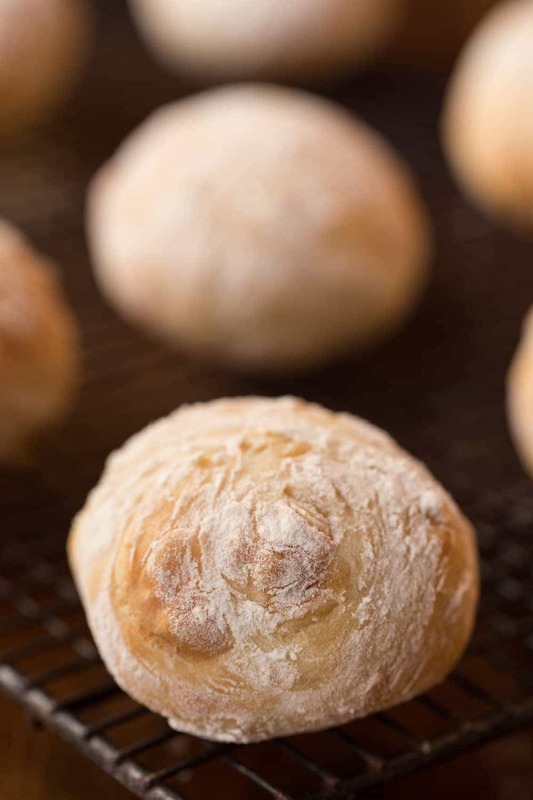 The beef bourguignon, a salad and those artisan rolls would make such a fabulous dinner! Thanks so much for the ideas! SOY SU SEGUIDORA …TODO SE VE TAN BIEN….CENAS FAMILIARES…PARA ESTE DICIEMBRE Y FIN DE AÑO…. 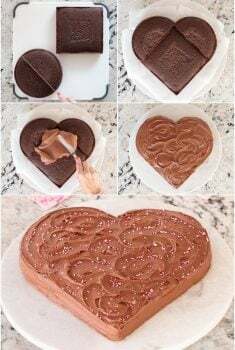 SE DA ESO POR QUE SE VE MUCHO AMOR….LA COMIDA CASERA TIENE MUCHA INSPIRACIÓN……..FELICITACIONES…… SU…..
Muchas gracias, Susana por tu amable y alentador comentario. ¡Feliz Navidad a usted! Espero que esté lleno de mucho amor y deliciosa comida! Everything looks wonderful Chris! 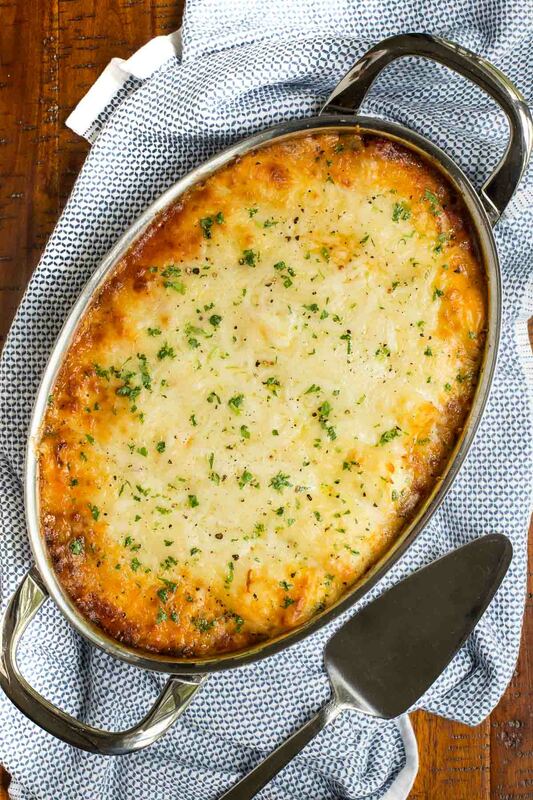 Love that Manicotti – because who can say no to cheesy comfort food. This makes me want to have company. 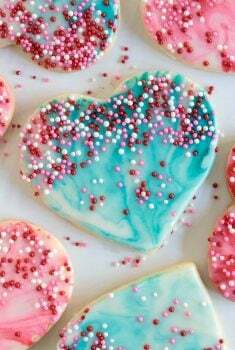 Such terrific inspiration for company or even a special family dinner. There’s not one of your recipes that wouldn’t be a hit! It all looks so good Chris.